In India, Diwali is celebrated with the lighting earthen lamps called ‘diyas.’ This symbolizes the power of light overcoming the darkness! Cleaning homes, lighting lamps, burning fire crackers, and going to worship at the Temple is symbolic of light overcoming darkness. There are several mythological legends that are behind the celebration of Diwali since time immemorial. In northern India, Diwali is celebrated to commemorate the joyful return of Lord Rama from exile to Ayodhya after killing Ravana, which indicated the dawn of positivity and light. While in Southern India, Diwali is commemorated to revere Lord Vishnu who killed the demon Bali. Lord Krishna killed the mighty Narakasura on this day as well. The Sikhs celebrate this day to commemorate the return of their Guru Hargovind Ji from detention; whereas the Jains celebrate the day to mark the nirvana (ultimate freedom from the cycle of birth and death) of Lord Mahavir. 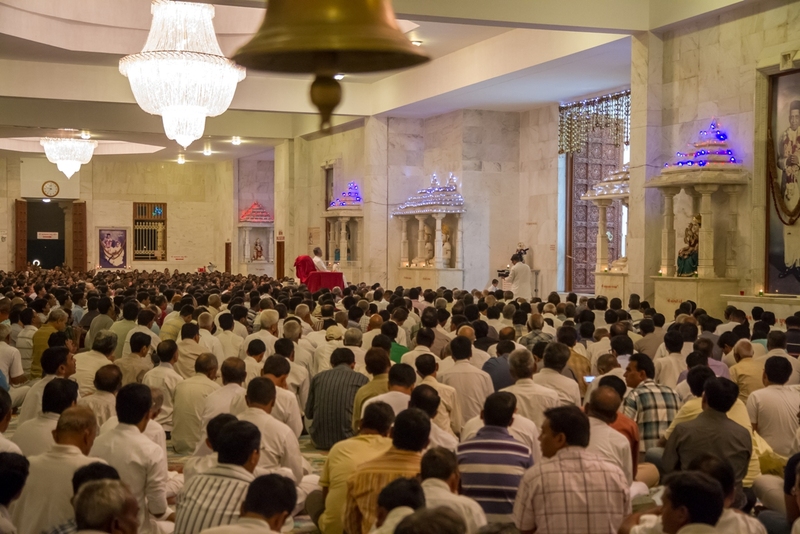 On 3rd November, in Adalaj(Gujarat, India) Diwali was celebrated with a grand night of bhakti in the Tri-Mandir in the presence of all the Gods and Goddesses, and everyone’s beloved Pujya Deepakbhai. After the night of bhakti, the Indian New Year started with a celebration of food called ‘Annakut.’ It is a grand offering of food to Lord Krishna, which represents gratitude to the Lord for his blessings. Pujya Deepakbhai lovingly fed items from ‘Annakut’ to Param Pujya Dada Bhagwan and Pujya Niruma. 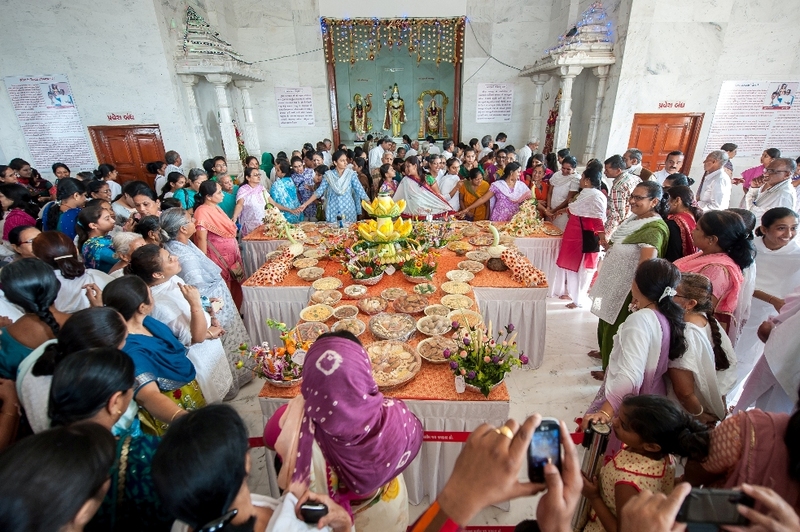 The ‘Annakut’ was left for darshan for all in attendance and was later distributed to visitors and followers as Prasad (food offered to God). Pujya Deepakbhai’s New Year message to all of Dada’s followers was to keep awareness on who is the real doer in this world. He reminded them to recognize that the circumstances are the ‘doer.’ Scientific circumstantial evidences come together in order for any event to occur. The New Year message was followed by the devotional viewing of God (darshan). Param Pujya Dadashri had said that on the Indian New Year day, He is in the absolute state and so by doing His darshan on this day, one can reap tremendous benefit. Over 9000 followers came to do darshan of Pujya Deepakbhai on this auspicious day.